Author of The Astronomy Cafe: The Best 365 Questions and Answers from "Ask the Astronomer"
Sten Odenwald is an astronomer who runs the website Astronomy Cafe, and is a researcher studying the cosmic infrared background and space weather. Since receiving his Ph.D. in astronomy from Harvard University in 1982, he has been an astronomer in the Washington, D.C. area, primarily at NASA's Goddard Spaceflight Center in Greenbelt, Maryland. 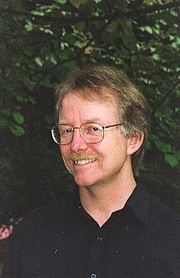 Sten Odenwald is currently considered a "single author." If one or more works are by a distinct, homonymous authors, go ahead and split the author. Sten Odenwald is composed of 2 names. You can examine and separate out names.